Hello to everyone. I am new here, and I have a question that's been bothering me for years. We once owned a dog that never barked. When she was excited, she would let out a soft howl. She was a part of our family for close to 15 years, and not once did I ever hear an actual bark out of her, nor have I come across another dog that did this. Is this a trait that was just specific and unique to her, or are there actual breeds that only howl? I'd like to research it more, and any help would be appreciated. We lost her to a stroke years ago, and it still tears me up to think about it. 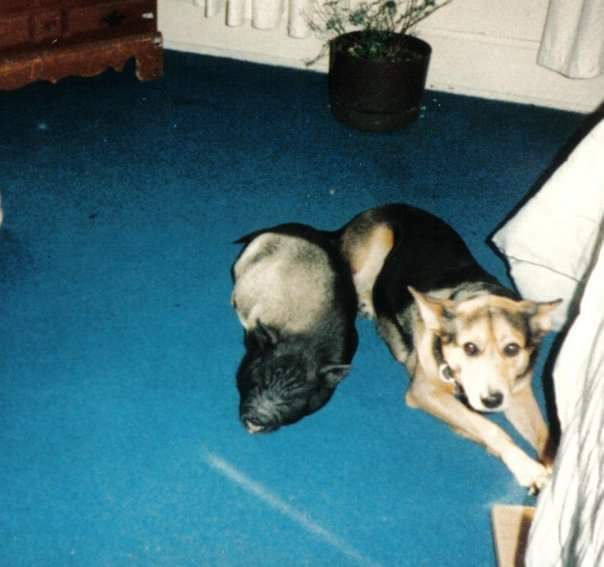 In case anyone needs it, I enclosed one of the few scanned pictures of her (sunbathing with our pet pig). Thanks in advance!